Jane Iredale: The Senator Spa is proud to carry the Jane Iredale Mineral Cosmetic line for both professional application and home care recommendation and use. Jane Iredale Mineral Cosmetics are non-comedogenic, in other words, they do not block pores. Instead, the mineral particles form a protective barrier on the skin and allow it to breathe and function normally. This protective barrier also traps environmental pollutants. Jane Iredale Mineral Cosmetics act as anti-inflammatories and as anti-microbials, and are consistently tested to achieve their non-comedogenic properties. This attention to detail is why this cosmetic line has received so many testimonials from acne patients claiming an improvement with their skin since using Jane Iredale. The only oils used in Iredale formulas are in products that are defined for conditioning the skin – such as the under-eye concealer and lip products. All Jane Iredale products provide protection from both UVA and UVB rays and are formulated with chemical-free sunscreen actives. The mineral sunscreen actives, titanium dioxide and zinc oxide, provide instant, Broad Spectrum, Water Resistant 40 Minutes and sun protection. Allergies and sensitivities usually occur because of ingredients that cause irritation to the skin. Reactions are particularly common in skins that have been compromised in some fashion through, for example, a weakened immune system, sun damage, chemical peels, laser resurfacing, etc. Substances that most commonly cause these sensitivities are chemical preservatives, chemical dyes (usually labeled as FD&C), perfume and alcohol. Jane Iredale makeup contains none of these sensitizers. In fact, zinc oxide and titanium dioxide are anti-inflammatories and may help calm the skin. All of the Iredale products have undergone sensitivity testing. Jane Iredale Mineral Cosmetics produce fast, weightless coverage because of its concentrated pigment. Only a light application with a brush or a sponge can provide coverage that would normally take three products to achieve. First-time wearers typically use too much because they are used to cosmetics with fillers, and not a lot of “pay-off.” With Jane Iredale Mineral makeup, less is more. Iredale pigments are made from only micronized minerals and because the minerals are concentrated pigment, they give complete coverage. The result of use should look sheer and luminescent and feel weightless. Eminence Organic Skin Care: Spas are one of the very few places where you can truly escape the world’s rigours, and relax in a space of silent reflection. Eminence Organic Skin Care products come from the Earth and help to heal and cleanse the mind, body and soul. Spa treatments will leave you feeling completely rejuvenated and refreshed. This is not merely a place for pampering. It’s a destination to transform your psychological and physiological well-being, as well as a trusted source for our fresh, authentic products. Our promise is to deliver happiness and extraordinary service by providing the healthiest and most effective skin care products. We are committed to protecting the future of our planet through our green practices – We plant a tree for every product sold. Eminence Organics is passionate about using the best natural, organic and Biodynamic® ingredients to bring our Customers the healthiest and most effective skin care products. Originating from a balanced, holistic view of the universe, Biodynamic® farming practices regard the farm, the plants and the animals as a self-supporting ecosystem that lives and breathes. It renders fruits and herbs that are unusually high in nutrients and active compounds then harnesses these potent ingredients into a collection of products that are the ultimate in pureness and results-driven skin care. Seeds are planted and crops are harvested following the lunar cycle so that when the tides are high, roots receive the most moisture and goodness. As an alternative to harsh pesticides, the farm uses herbal teas and plant friendly honey traps from local bees as natural insect repellents ensuring that all Biodynamic® ingredients are farmed as naturally as possible. Biodynamic® ingredients are void of all chemical fertilizers and pesticides. Only natural medicinal herbs and mineral composts are used to enhance the soil and ignite powerful growth forces in the plants from roots to tips. EMINENCE ORGANIC SKIN CARE AUTHENTICITY STATEMENT: Eminence Organic Skin Care uses the finest natural, organic and Biodynamic® ingredients to provide you with the best organic skin care products in the market today. To ensure you are receiving fresh and authentic Eminence Organic Skin Care products, we advise that you purchase exclusively from one of our authorized partners. Surface Hair Care: All Surface Hair Care products are formulated with sustainable harvested ingredients and certified organic ingredients. 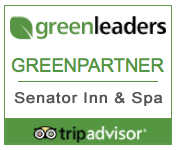 Keeping the Senator Spa mission very close to heart, Surface Hair Care is a home care product that our professionals recommend and regard highly with respect to wellness conscious ingredients. Free of Sulfates, Gluten, Parabens, Animal Protein, Mineral Oil, and phthalates, Surface is formulated with plant derived aromas and product colors are the natural color of the ingredients. No added dyes are necessary and Palm and Coconut Oils cleanse gently and throughly. 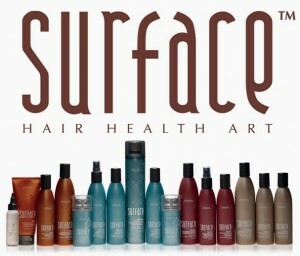 Surface Hair Care at our Spa Boutique can be experienced in Shampoo, Conditioner, Healing Treatments and Styling Aids. Visit us at the Spa Boutique to learn more about the benefits of Surface. Ambre Blends: Ambre Blends is an independent, women-owned business which has been producing high-quality, organic body products since 2001. Ambre Blends products are available here at the Senator Spa Boutique in four delicate, all-natural essences and are worn by both women and men. All Ambre products are made by hand with 100% pure and natural vegan ingredients from all over the world. Amber oil has been used for centuries for its medicinal and aphrodisiac qualities. The blending of amber oil, the primary ingredient in all Ambre Blends products, with other organic essential oils creates Ambre Essence. Once activated by the body’s warmth, our essences produce a unique, long lasting, individual fragrance that exquisitely compliments one’s own natural chemistry. Ambre Blends selects only the finest, organic ingredients to soothe your mind and protect your well-being. The mix of these ingredients produces a clean, sensual and addictive essence which develops a unique scent on each wearer. Because Ambre Blends products are made with pure, organic ingredients, additionally wearing synthetic body products, which contain chemicals, preservatives and fillers, will compromise the integrity and benefits of Ambre Blends products. For this reason, over the past ten years, Ambre Blends has expanded its product line to include body creams, pure olive oil soaps, spritzers, skin tonics & more to cover all our your body care needs. All Ambre Blends products come in one of our four uniquely designed essences and are designed to be worn together. Lovers of Ambre Blends products have always enjoyed alternating or layering our products with one another, so try our multiple scents and mix them up! Aveda: Aveda was founded in 1978 with the goal of providing beauty industry professionals with high performance, botanically based products that would be better for service providers, their guests, and the planet. Nana Mary’s Stitches include mittens made from recycled wool sweaters and lined with fleece, Handcrafted gloves by DeeDee, Power Chocolates hand made in Belfast, Maine and many, many more products. Plantlife Natural Body Care: Included in all of our Aromatherapy massages is your choice of a Plantlife Natural Body Care massage oil. Plantlife Massage Oil is a perfect blend of science and nature, using “old world” formulas combined with the timeless sciences of herbology and aromatherapy. Plantlife’s mission is to consistently create all-natural body care products that are good for you, using the purest ingredients such as fresh herbs and 100% pure essential oils. Each of our therapeutic blends and aromatherapy creations is prepared with the intent of enriching our lives as well as our environment. Visit our Spa Boutique to experience a Plantlife Product today. Grampa’s Garden: Would you like bring some soothing relaxation home with you from the Senator Boutique? Grampa’s Garden provides all-natural therapy and comfort products for those who want to live a healthy life. Our self-care products help relax, balance and rejuvenate the body, mind and soul. Therapeutic hot packs and cold packs, natural body therapy products, herbal back and neck support pillows, soothing spa warmers, sensory integration products and many other natural health care products from Grampa’s Garden are available here at our boutique. These therapeutic products provide relaxation and aromatic pleasure to invigorate the senses! Most of their products are Maine Made by people who care about your health and protecting the environment and featuring them with us here at our boutique is something we take pride in because of this. The Boutique is located on the lobby-level floor of the spa at the rear of the hotel property. For more information, please call 207-622-3138 and ask for The Boutique or simply stop by for a visit.